There has been quite a bit of criticism about President Trump's desire to "bring back" US corporate profits that are parked overseas. Many argue that any tax break that allows corporations to bring back profits will allow corporations to simply bring back the cash and do buybacks, as if buybacks are negative for the economy. But Director of the National Economic Council Gary Cohn told Yahoo Finance he’s okay with corporations using the repatriated funds for buybacks. Buybacks are just another transaction in the economy. All free market transactions should be viewed as "good" in the sense that both the buyer and seller in such a transaction desires to do the trade. Specifically, how the transaction impacts the economy is determined by what the seller does with the cash. Indeed, it may be a number of trades after a buyback trade before we see any "real" impact on the economy. Stock transactions and their role in an economy are much more complex than a shallow consideration would have one believe. 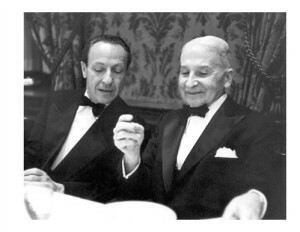 Fritz Machlup, a sometimes Austrian-leaning economist who attended the famous Mises seminar in Vienna, in his book The Stock Market, Credit, and Capital Formation, spent a considerable amount of time tracing how different stock transactions impact the economy. The dyslexic Cohn would have trouble working his way through the meticulous Machlup book, but he should know that Machlup has his back. Thank you for letting me know about this book! Unfortunately the paperback versions are $1800 on Amazon, Kindle version is a couple bucks.